Micro business owners are invited to join the global #MicroBizMattersDay on 9th January 2015 with ‘9 minutes of action’. Enterprise Rockers is a free to join in movement and Community Interest Company, co-founded and co-funded by Tina Boden and Tony Robinson OBE. It is the largest, fully independent, informal ‘network of networks’ for micro (0-9 employees) enterprise owners, anywhere and has one aim; ‘To make life better for micro enterprise owners, everywhere’. 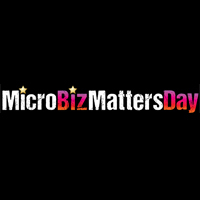 Today it announced the first, annual #MicroBizMattersDay which will take place on Enterprise Rockers’ 3rd anniversary, 9th January 2015. The co-founders call it ‘Unleashing the Power of Plenty’. This power of plenty is the influence exerted when thousands of self-employed and business owners take concerted action to support and promote each other. #MicroBizMattersDay, a social media led campaign, will call on all people who work for themselves, their suppliers and customers to take concrete actions for 9 minutes on the day to make business life better for others. The actions fall under the hashtagged categories of #Customers, #Cashflow and #Chat. Enterprise Rockers CIC, organisers of #MicroBizMattersDay was established in 2012 after a year of recruiting global entrepreneurs to give their time to the cause ‘of helping each other to make life better’. The ‘Rockers’ as they are known describe themselves as having more the popular appeal of Rock and Roll than the exclusive hauteur of Classical music. They admit to being disruptive, have no political affiliation or corporate sponsorship, are not politically correct and have no interest in lobbying. They are only interested in helping each other through actions not words. In most countries around the world, over 90% of all enterprises are micro (0-9 employees). In the UK this is 95%*. In many countries self-employment is increasing year on year and the majority of new jobs are provided by the self-employed. In the UK there are half a million start-ups each year and over 4.5 million micro enterprises which compares with around 7000 large businesses (above 250 employees) which receive the majority of government funds. Research by Populus*** shows that 2 in 3 micro business owners feel that Government does not encourage or support them. Despite this picture of decline in conditions, motivation among micro business owners remains high with 73% becoming self-employed by choice. This snapshot of a badly supported, highly motivated group of business owners shows the gaps in government policy and the emerging economic and political significance of the self-employed and micros which #MicroBizMattersDay aims to redress. #MicroBizMattersDay is the worldwide call to fill the gaps in policy and support by ‘Rockers doing it for themselves’. All business owners are asked to choose actions to take in 9 minutes in one of the 3 hash tagged categories of #Customers, #Cashflow or #Chat. Here are 2 examples of possible and useful actions under each category, and more become available daily on the #MicroBizMattersDay website. 1. Promote the Enterprise Rockers free, 40 minute ‘What Makes Enterprise Rock?’ video on YouTube by sharing the link on social media or embedding it into your blog or website (like below). The video contains lots of survive and thrive tips for business owners everywhere, was made by award-winning film maker Asta Philpot and 20 business owners gave time and money to make it. 2. Recognise, on social media, those organisations that are fair payers of supplier bills. For example in England we know that Sage (UK) Limited, Lloyds Bank, Leeds City Council. VINCI and Morgan Sindall Group all have fair terms of trade, and will pay suppliers within 30 days. 1. Spend 9 minutes helping another micro biz owner by providing an idea or an offer of collaboration that will help their business.